Many people choose to personalize their work spaces so as to inject some level of their personalities and characteristics in the area where they spend the most time and do their work. Aside from the framed pictures and strategically placed knickknacks, the office plant you decided to put by your window, on the side of your desk or in the corner of the room can communicate to others a bit of who you are. A little potted cactus on a desk, near the window or may be even on the sink in your office bathroom clearly says that you are the type of person who does not want to be bothered with mundane things such as watering the office plant everyday. It seems like there is nothing more unobtrusive than a small little cactus in a pot. You can place it in your office and forget about it for weeks, only watering it when you happen to notice it every once in a while. What’s great about this kind of office plant is that it is really very low maintenance and still, it might give you a little burst of color when it happens to grow flowers once in a while. Another popular office plant choice are ivies. A potted ivy plant is actually a very flexible choice since you can put it on a shady corner where it is barely touched by natural sunlight or you can hang it on the window. 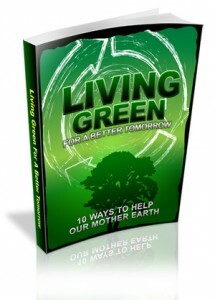 Having an ivy as an office plant may say that you tend to be uncertain and fickle at times. At one time, you want your office to be arranged in such a way that the plant is pushed to the corner, and in just a few minutes you change your mind and rearrange everything so the plant ends up on the window sill. 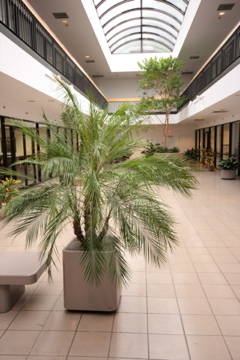 Some people choose to fill empty nooks and corners of their office and business places with large floor plants such as the Parlor Palm. Many believe that we place office plants in our work areas because the green coloring and over-all look of the plants can help us relieve stress and tension. So if you have a gigantic palm sitting on your office, then clearly that says that you have a lot of stress to work with and need all the relief you can get. Whenever I walk into an office that has real live orchids planted near the window or on the desk, I clearly see that the person using the office is 1) expecting lots of company to regularly visit the room such as clients and investors which is why she is intent on showing off and 2) that the person using the space has a large enough salary or a high enough position to have someone buy and tend to the orchids in the room. To set a perfect ambience using office plants and beautifully interior decorated walls trust Brushwork Painters.